The 2013 Mnet Asian Music Awards (MAMA) wowed some 11,000 spectators packing the Asia- World Expo Arena in Hong Kong on Friday night, proving the K-pop craze is in motion. Under the slogan of “Music Makes One,” MAMA brought different cultures and languages to promote Asian music to the world. Millions of K-pop fans watched the MAMA awards, a venue for K-pop stars and other international celebrities to come together. It was broadcast in 94 countries around the world. World superstars like Paris Hilton, YouTube sensation Ylvis and the legendary musician Stevie Wonder made special appearances on the show. They performed in cross-over collaborations ― Wonder and Hoylyn, Aaron Kowk; Ylvis and Crayon Pop; 2NE1’s CL and Icona Pop, for example. 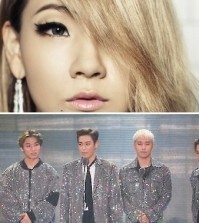 The American music legend won the “music makes one ambassador award” from Big Bang during the show. “I never imagined I would travel outside of the U.S. and to think that we are here today … I feel blessed to be part of the music family and I’m so very happy to receive this wonderful honor,” he said. 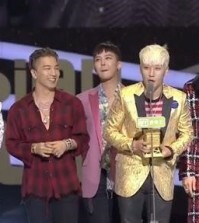 Socialite Hilton presented the award to Big Bang’s G-Dragon, who won the Best Male Artist and Best Male Solo Dance Performance. 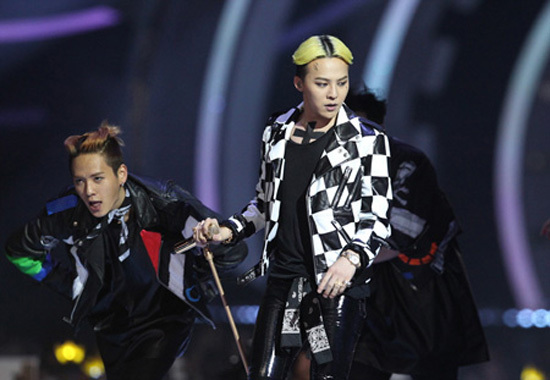 G-Dragon became undoubtedly the hero of the night. Hilton also gave a performance as her latest incarnation of a DJ. Norwegian musical comedy duo Ylvis hit the stage with K-pop girl quintet Crayon Pop to perform the band’s signature song and dance. Ylvis became an international sensation with the video “The Fox (What Does The Fox Say)” which has garnered 238 million YouTube hits since its release in September. Ylvis, who sported fox outfits, won the International Favorite Artist Award, and then wore helmets and followed the choreography of the Korean group’s hit song “Bar Bar Bar.” The song also received 11 million YouTube hits, becoming a nationwide sensation. Crayon Pop grabbed the Best New Female Artist prize. Among its splendid performers, Rain made a surprise appearance to the ceremony after finishing concerts in Osaka on Nov. 21 as part of the Japan tour. He sang “How to Avoid the Sun” and “Rainism,” which was the first official performance after completing his military duty in July. However, there are still questions regarding its stated aim of bringing “Asian music” to the world given the dominance of K-pop singers rather than expanding to include musicians from other countries. Major J-pop musicians didn’t take part in the show while singers from Vietnam, Indonesia and Thailand just conveyed video messages. First launched in 2009 under the slogan “Asian Wave,” this year’s event marked its fifth anniversary. 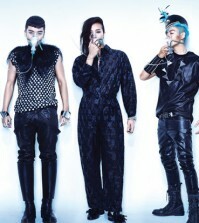 Will Big Bang split up?